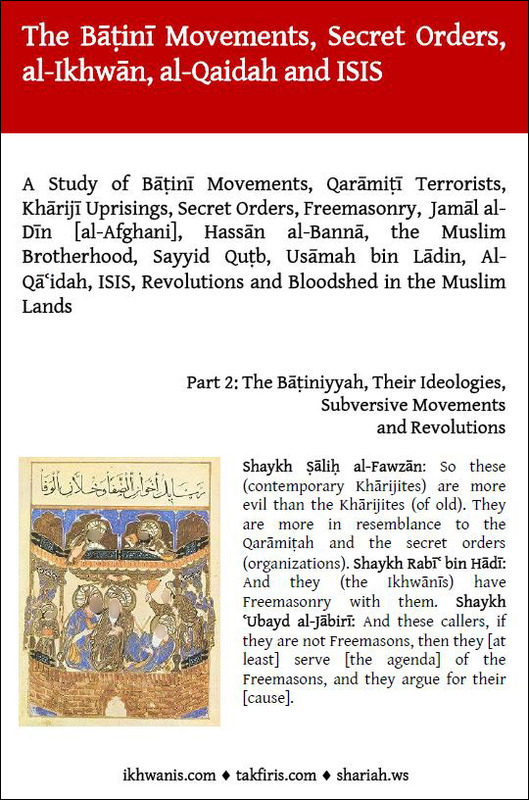 The Bāṭinī Movements, Secret Orders, Freemasonry, al-Ikhwān, al-Qāidah and ISIS: Part 2 - The Bāṭiniyyah, Their Ideologies, Subversive Movements and Revolutions In this installment we will look at the various Bāṭinī movements in Islāmic history which were created upon secrecy and secret organization. Those who put these movements into motion were from the remnants of civilizations that had waned or pretty much disappeared due to the arrival of Islām. Those earlier movements have not ceased to exist until this day of ours, except that they take on different forms, shapes and labels. Download Full PDF Document.